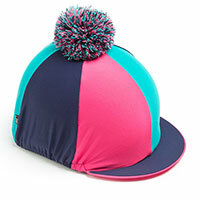 Jazz up your cross country kit with this fabulous colour combo of Pink, Teal and Navy with a large multi pom pom. Be bold and make these your next seasons XC colour! Why not match this to our Navy Competition Gloves 79GL to complete the look?